Any skincare devotee worth their salt knows that alpha-hydroxy acids (AHAs) and beta-hydroxy acids (BHAs) are of paramount importance to a solid complexion regimen. In case you need a refresher, the latter category has a population of roughly one: salicylic acid. (Though technically, trethocanic acid and a few other rarely-used acids are defined as BHAs by the FDA.) Easy enough. AHAs, on the other hand, are a bit more varied. One thing they all have in common: AHAs help expedite cell turnover (which slows down as we get older). By sloughing off dead cells from the superficial layer of skin, we reveal healthy cells and stimulate new growth. That means fewer fine lines, reduced hyperpigmentation, and a complexion that’s fresh and radiant. “Even if you don’t have any visible concerns you want to correct, an AHA can help keep your skin cells cycling through at an optimal rate,” says Garritano. “Also, patients who are blemish prone can incorporate AHAs as a great way of helping reduce blemishes and prevent future breakouts.” Though salicylic acid (BHA) is the typical choice for those with acneic skin types, AHAs can still help these complexions a great deal: cell buildup (with bacteria trapped underneath) is a common source of breakouts. Below, four of the best AHAs and what they can do for your skin. Plus, we’ve thrown you a product recommendation for each. Why your skin loves it: “Lactic acid is good for general exfoliation and skin [brightening],” says Dr. Kavita Mariwalla, a board-certified dermatologist and the founder of NYC’s Mariwalla Dermatology™. “It is more gentle than glycolic acid and, interestingly, continued use of lactic acid has actually been shown to increase skin firmness and thickness.” Incidentally, Cleopatra was said to have used lactic acid derived from sour milk in her beauty ritual, Mariwalla notes. 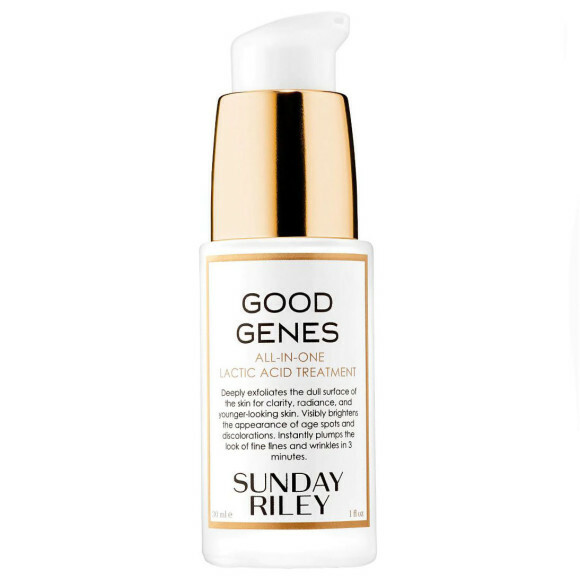 The product pick: Sunday Riley® Good Genes™ All-In-One Lactic Acid Treatment ($105) delivers a potent dose of purified lactic acid for skin that glows pretty much the second you apply. The product pick: Dr. Mariwalla’s favorite way to get glycolic acid is from a peel. You can have a more aggressive peel applied at a salon or opt for a less potent version at home. 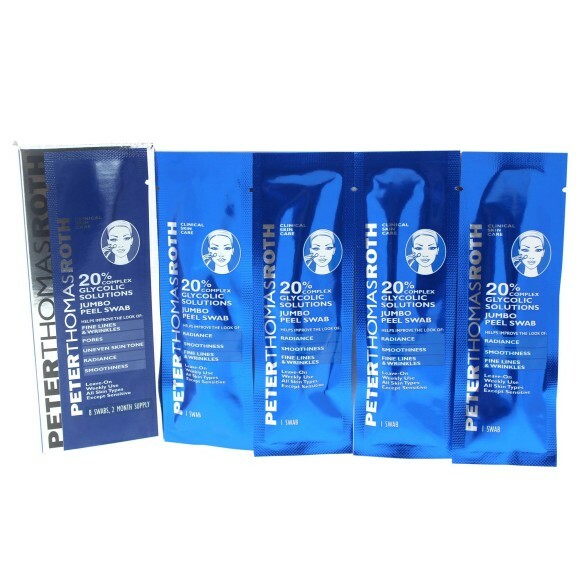 Try the PeterThomasRoth® 20% Complex Glycolic Solutions Jumbo Peel Swab ($48), which pairs a high concentration of this powerful ingredient with brightening niacinamide and hydrating hyaluronic acid. 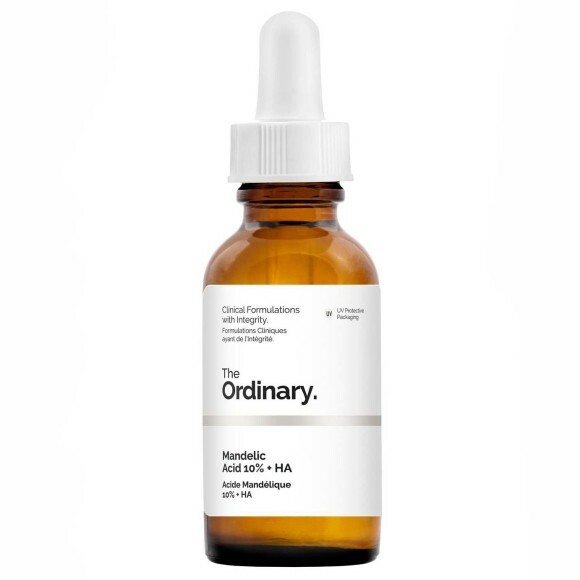 The product pick: The Ordinary® just launched its Mandelic Acid 10% + HA ($7), which exfoliates the skin gently while also plumping it up with hyaluronic acid. If you’d prefer something stronger, Garritano recommends the professional Glytone® Mandelic Acid Peel, which is done in-office. Why your skin loves it: Malic acid is derived from apples, and also has larger molecules than the majority of the other AHAs on this list. This means it doesn’t penetrate the skin quite as deeply, making it gentler on sensitive skin. For that reason, it’s not considered quite as effective of an exfoliator compared to glycolic, lactic, and mandelic, so you’ll often see malic acid as a complementary AHA or as the main ingredient in mild exfoliating products. That doesn’t mean it’s not worth trying — it also serves as an antioxidant to help shield the skin from free radical damage. 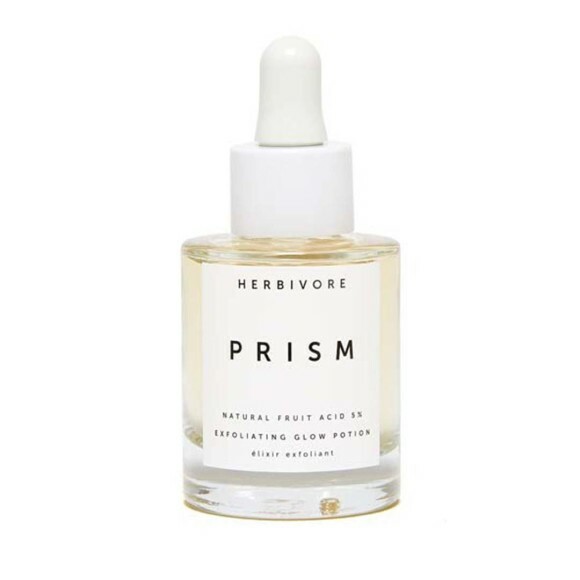 The product pick: Herbivore® Prism Exfoliating Glow Potion ($62) combines malic acid with lactic and glycolic for an ultra-hydrating, brightening elixir that you can apply as part of your makeup prep or before bed to wake up extra radiant.